Jabra Stealth UC, Jabra SUPREME, Jabra MOTION and their UC variants come with a free Jabra CONNECT smartphone app, which is loaded with features that will let you customize your experience to suit your preferences as well as control all your call on multiple devices from within the application. The application interacts actively with your Stealth UC, SUPREME and MOTION headsets giving you access to additional premium features. By installing the Jabra CONNECT application your smartphone can act as a control center for the devices you have connected to your headset. 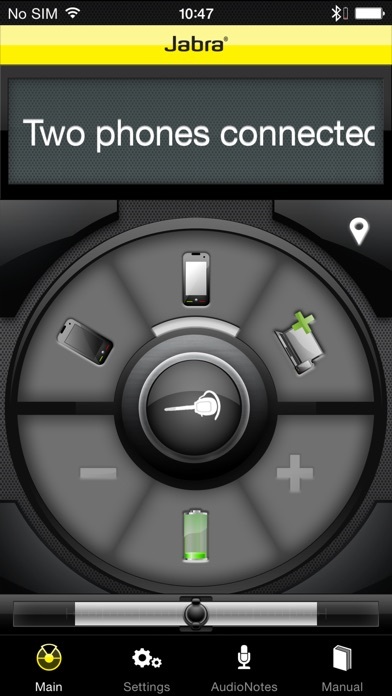 In that way you can control all calls from PC softphone or smartphones from the application. Furthermore the application let you choose between three different profiles, to make sure you have the perfect sound settings based on where you are – in your office, outdoors or in your car. 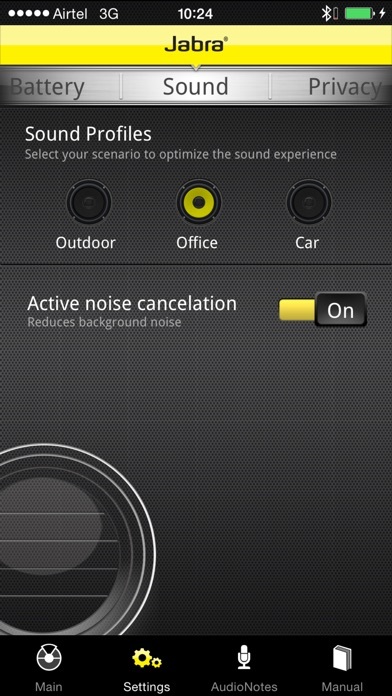 You can enable or disable the active noise cancellation at any given time. The smooth, intuitive visual interface of the app lets you see how much battery you have left on your headset in your smartphone display to alert you when it’s time to recharge. 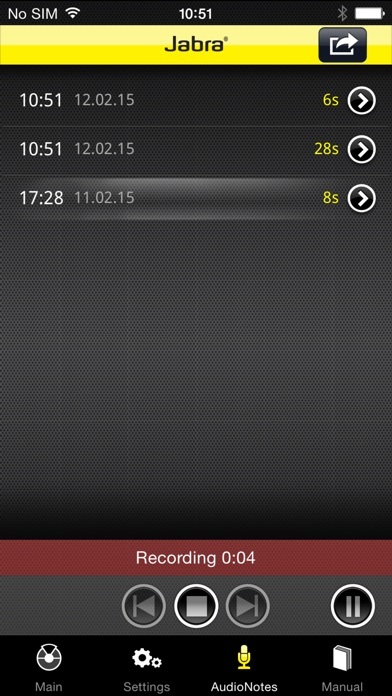 Using this app, you can even record audio notes and save them on your app or share them via email. A new feature called Find my Jabra can help you locating a lost headset. When enabled, it will store the position of where your headset has been used last and display it on a map. 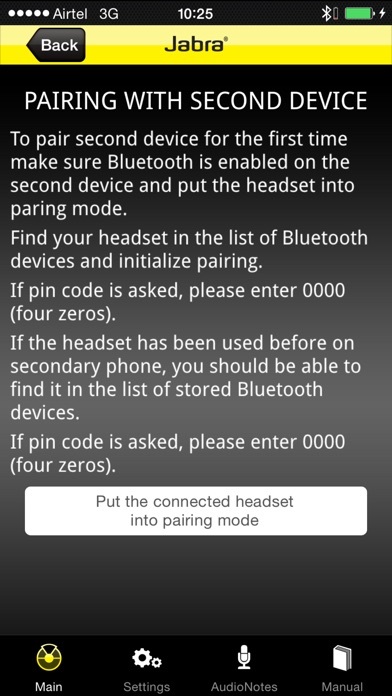 In case the headset is still connected, use Find my Jabra to send a Beacon tone to the headset to locate it by ear. Enjoy all these great features and more when you download the Jabra CONNECT app. Note that Jabra CONNECT application only works in conjunction with the Jabra Stealth UC, Jabra SUPREME, Jabra MOTION headsets and their UC variants.